Geographically, Ghana is at the center of the world where the Greenwich Meridian meets the Equator. Conceptually, Ghana can be said to be at the center in regards to important themes in the study of Africa, such as pan-Africanism, the trans-Atlantic slave trade, colonialism, state-building, and development, with their attendant themes of power, materiality, and modernity. 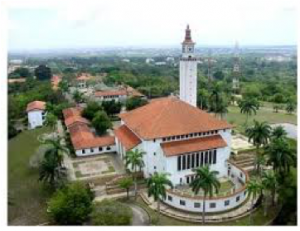 At the third triennial conference of the Ghana Studies Association, we engage with what it means to have Ghana truly at the center of African/Ghana Studies scholarship. While we encourage proposals that engage with this theme, we welcome proposals on other themes or topics. Papers may be in any discipline or area of study, and may be submitted by established scholars, early career faculty and graduate students. We especially encourage papers produced collaboratively by scholars in different disciplinary and geopolitical locations. Accommodation: Participants will be responsible for their own accommodation. GSA will, however, provide information on available lodgings in the vicinity of the university. [i] Paul Tiyambe Zeleza, ed. (2007). The Study of Africa, Vol. 2: Global and Transnational Engagements. Dakar: CODESRIA, p. 2. [ii] Nkrumah, K. (2012). The African genius. In H. Lauer & K. Anyidoho (Eds. ), Reclaiming the human sciences and humanities through African perspectives (Vol 1) (pp. 909–917). Accra: Sub-Saharan Publishers (Reprinted from Kwame Nkrumah, The African Genius: Speech Delivered by Osagyefo Dr. Kwame Nkrumah … at the Opening of the Institute of African Studies, 25th October 1963. Accra: Government Printer, 1963, p. 910). [iii] Allman, J. (2013). Kwame Nkrumah, African Studies, and the politics of knowledge production in the Black Star of Africa. International Journal of African Historical Studies, 46(2), 181–203. [vi] Apugisah, A. A. (2012). On Ghanaian development: technical versus street evidence. In Reclaiming the Human Sciences and Humanities through African perspectives(pp. 388–412). Accra: Sub-Saharan Publishers.